In this article, we’ll examine the nine steps needed to create your first business model using the Business Model Canvas. We’ll also look at the business models of Google, Uber, and Gillette to bring the theory to life and integrate all nine steps. Before we jump in and look at the Business Model Canvas, let’s take a moment to define what we mean when we use the phrase “business model”. A plan for the successful operation of a business, identifying sources of revenue, the target customer base, products, and details of financing. Essentially it tells us how the key drivers of a business fit together. Now if you think about writing all this down in a document, then it’s obviously going to require multiple pages to capture all of that information. Now think about trying to get all of this information into your brain at the same time and its easy for business models to overwhelm us. That’s where the Business Model Canvas comes in. It gives you a way to create a pretty clear business model using just a single sheet of paper. And what is great about it is it can be used to describe any company – from the largest company in the world to a startup with just one employee. Easy to understand: Because the canvas on just a single page and is very visual it’s very easy to understand. Focussed: It removes any fluff that might have been present in a traditional business model. It’s all killer no filler. Flexible: It’s quick and easy to make changes to your model and sketch out different ideas. Customer Focused: the canvas forces you to think about the value you’re providing to your customers, and only then what it takes to deliver that value. Shows Connections: The single page graphical nature of the canvas shows how the different parts of the model interrelate to each other. This can be really difficult to ascertain from a traditional business plan. Easy to Communicate: Because the canvas is so easy to understand you’ll be able to share and explain it easily with your team, making it easier to get them on board with your vision. Value Proposition: Why do customers buy from you? What is the gain you provide or the need you satisfy? Channels: How are your products and services delivered to the market? Customer Relationships: How do you get, keep, and grow your customers? Revenue Streams: How does your business earn money? 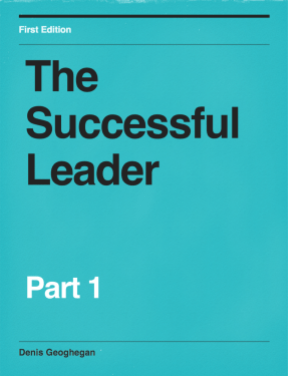 Key Resources: What unique strategic resources does your business have or need? Key Activities: What unique strategic activities does your business perform to deliver your value proposition? Key Partnerships: What non-key activities can you outsource to enable you to focus more on your key activities. Cost Structures: What are the major costs incurred by your business? Broadly speaking we can say that those elements on the lefthand side of the canvas represent costs to the business, whereas elements on the righthand side generate revenue for the business. With that, let’s dig into each of the nine building blocks in a little more detail. In this building block, you enter the different customer segments or that you will serve. If you can, create one or more persona for each segment you serve. A persona is simply a relatable description of each customer type you serve. They try to highlight your customers’ motivations, their problems and capture the “essence” of who they are. One really important point to get across here is that customers don’t exist for you, but rather you exist to serve your customers. Many businesses will serve just one customer segment, but not all. For example, Google serves two customer segments, people performing searches as well as advertisers. If you think about breaking down the advertiser customer segment into personas, then there are many different types of advertisers you might identify. For example, Fortune 500 companies such as Nike with massive advertising budgets might be one persona, whereas small one-man businesses might form another. The value proposition describes the value that you deliver to each customer segment. What problems do you solve for each customer segment? What needs do you satisfy? The Value Proposition answers the question, “why will customers buy from us?”. Channels refer to how your products or services are sold to customers. To complete this section ask yourself how do your customers want to be reached? How are you reaching them now? Broadly speaking you can either have your own channels or partner with someone else. Your own channels might include any combination of stores you own, a sales force you employ, or your website. Partner channels could include a multitude of options, from using a wholesaler to working with affiliates to sell your products or even using Google Adsense. The Customer Relationships building block answers the question of how you get, keep, and grow customers. Get: How do customers find out about you and make their initial purchase? For example, this could be through advertising on Google. Keep: How do you keep customers? For example, excellent customer service might help keep customers. Grow: How do you get our customers to spend more? For example, you could send out a monthly newsletter to keep them informed about your latest products. The easiest way to define all of this is to walk through the entire customer journey in detail. That is how do customers find out about you, investigate whether to buy your product, purchase it and how are they managed after purchase. Where does the money come from? In this building block, you state where your revenue is generated. This might sound super simple but it isn’t. You’re actually trying to figure out what strategy you’ll use to capture the most value from your customers? Will customers simply pay a one-time fee? Will you have a monthly subscription fee? Perhaps you give away your product for free like Skype and hope that some portion of customers upgrade to the paid premium product? Consider Google. Advertisers pay Google to place their ads in front of users with buying intent. For example, if you search for “Nike trainers” you will see ads. If you search for something without purchasing intent, such as “picture of flowers” you probably won’t see any ads. In fact, you could say that Google operates searches without purchase intent as a loss leader to keep people using the Google system. If you look at what we have done so far we’ve filled in our Value Proposition and the building blocks to the right of it. In a nutshell, we’ve developed our understanding of everything that relates to our customers. Now we need to work on the area to the left of the value proposition. We need to build our infrastructure to be able to best provide the value proposition. So with that let’s move on to the first infrastructure building block, Key Resources. This building block describes your most important strategic assets that are required to make your business model work. Physical: such as buildings, vehicles, machines, and distribution networks. Intellectual: such as brands, specialist knowledge, patents and copyrights, partnerships, and customer databases. Human: sometimes your people will be your most key resource, this is particularly true in creative and knowledge-intensive industries. Financial: such as lines of credit, cash balances etc. The Key Activities are the most important strategic things you must do to make the business model work. Key Activities should be directly relatable to your value proposition. If your Key Activities are not relatable to your Value Proposition then something is wrong, because the activities you view as most important aren’t delivering any value to customers. Production: refers to delivering your product. You will typically do this to either a high quality or a high quantity. Problem Solving: Consultancies and other service organizations often have to come up with new solutions to individual customer problems. Platform/Network: Networks, software platforms can function as a platform. For example, a key activity for Facebook is updating the platform. When completing this section, it is a mistake to list all the activities of your business, instead only include activities which are absolutely core to delivering your value proposition. In this building block, you list the tasks and activities that are important but which you will not do yourself. Instead, you will use suppliers and partners to make the business model work. Let’s look at Spotify. Spotify’s key activity is updating its platform. However, as it doesn’t produce its own music one of the key partnerships of Spotify will be the deals it strikes with record labels and publishing houses, without which it would have no music! Reduction of risk and uncertainty. Acquisition of resources or activities (e.g. music for Spotify). In the Cost Structure building block, we want to map key activities to costs. We also want to ensure that costs are aligned with our Value Proposition. It should be straightforward to determine your most important costs and your most expensive after you’ve defined your Key Resources, Key Activities, and Key Partnerships. That’s the theory out of the way. However, the Business Model Canvas comes to life when you see it in action. So let’s look at three different examples of the Business Model Canvas so you can see just how useful it can be. The first thing you should know about Google’s business model is that it is multi-sided. This means that it brings together two distinct but related customers. In Google’s case, its customers are its search users and its advertisers. The platform is only of interest to advertisers because search users are also present. Conversely, search users would not be able to use the platform free of charge were it not for advertisers. As you can see the diagram gives you an immediate understanding of the key parts of Google’s business model. Google makes money from the advertiser customer segment, whose ads appear either in search results or on web pages. This money subsidizes a free offering to the other two customer segments: search users and content owners. 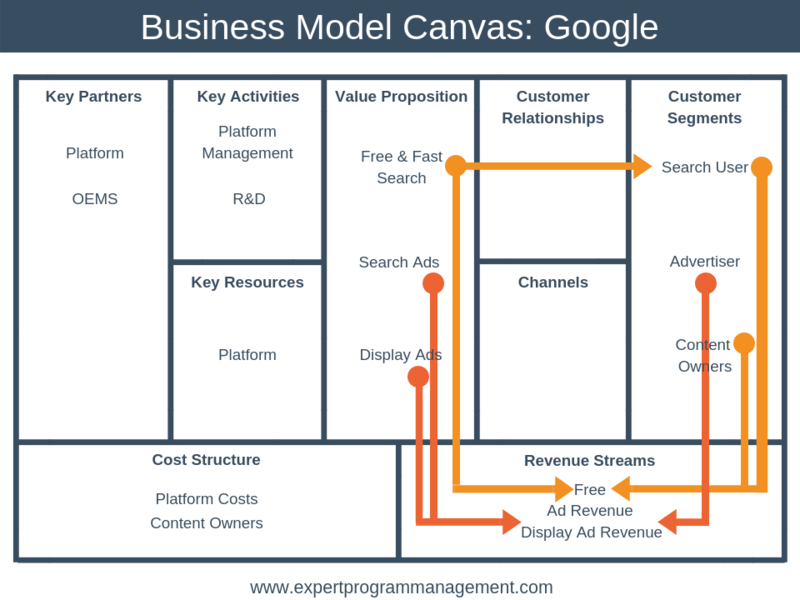 Google’s business model has a network element to it. That is, the more ads it displays to web searchers the more advertisers it attracts. And the more advertisers it attracts the more content owners it attracts. Google’s Key Resource is its search platform including google.com, Adsense (for content owners) and Adwords (for advertisers). The key strategic activities that Google must perform are managing the existing platform including its infrastructure. Google’s key partners are obviously the content owners from whom a large part of its revenues is generated. OEMs (Original Equipment Manufacturers) also form a key partner. OEMs are companies who produce mobile handsets to whom Google provides its Android operating system to for free. In return, when users of these handsets search the internet they use the Google search engine by default, thus bring more users into the ecosystem and generating even more revenue. There are no hard and fast rules when it comes to using color within your canvas. Some people prefer to use color to represent the links between elements, as we have done in this article. Others like to use different colored elements or sticky notes to represent related elements. The choice is up to you. What is important is that any relationships between elements are easy to identify and easy to understand. 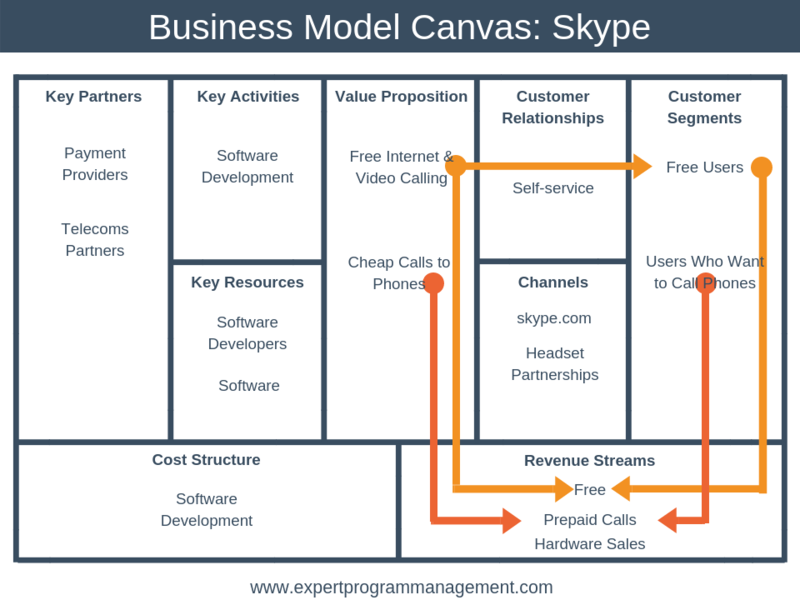 In the diagram below you can see the Business Model Canvas for Skype. The ability to make calls over the Internet, including video calls, for free. The ability to make calls to phones cheaply. Skype operates a freemium business model, meaning the majority of Skype’s users (the Free Users customer segment) use the service for free to make calls over the internet, with just 10% of users signing up to the prepaid service. We can see from the customer relationship building block that customers typically have a help themselves relationship with Skype. Typically this will be by using their support website. The channels Skype uses to reach its customers are its website, skype.com, and partnerships with headset brands. Looking at key partnerships, key activities, and key resources together, the main thing to notice is that Skype is able to support its business model of offering cheap and free calls because it doesn’t have to maintain its own telecoms network like a traditional telecoms provider. Skype doesn’t need that much infrastructure at all, just backend software and the servers hosting use accounts. 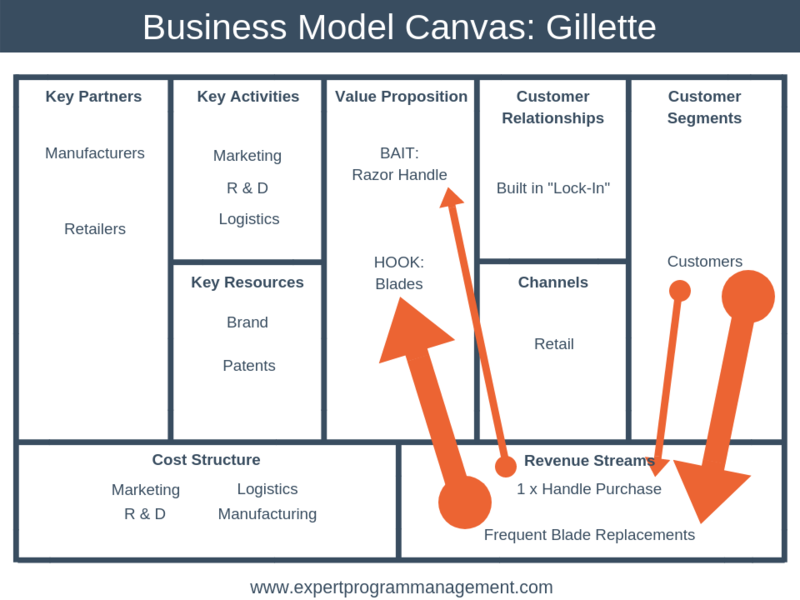 Gillette’s business model is based on the “Bait & Hook” business model pattern. This model is characterized by an attractive, inexpensive or even free initial offer that encourages ongoing future purchases of related products or services. With this business model, the bait is often provided at a loss, subsidized by the hook. In Gillette’s case, an inexpensive razor handle forms the bait, and continued purchases of the blades represent the hook. The business model is very popular in SaaS (Software as a Service) businesses, where typically a free initial month leads to a monthly subscription. In the diagram above we have used the thickness of the arrows to indicate the size of revenue generated. In Gillette’s case, all revenues are generated by just one customer segment, but the vast majority of revenues come from Frequent Blade Replacements, with just minor revenues coming from the purchase of handles. If you look at the left-hand side of Gellettes Business Model Canvas you will notice how all major costs are aligned with delivering the value proposition. For example, marketing costs help to build Gillette’s strong brand and R&D costs help to ensure that the blade and handle technology is unique and proprietary. Through these three Business Model Canvas examples, you should be able to see just how easy it is to represent the complete business model of any company on just one single sheet of paper. Don’t go it alone: Don’t try to create your model singlehandedly. Instead get a small team of 3-5 people together so you can brainstorm ideas. Use a whiteboard if you can. Have plenty of different colored whiteboard pens and sticky notes handy. Plan on the process taking about an hour to complete your first draft Business Model Canvas. Decide which building block you’re going to fill in first. Usually, it makes sense to start with Customer Segments or Value Proposition and then work from there. 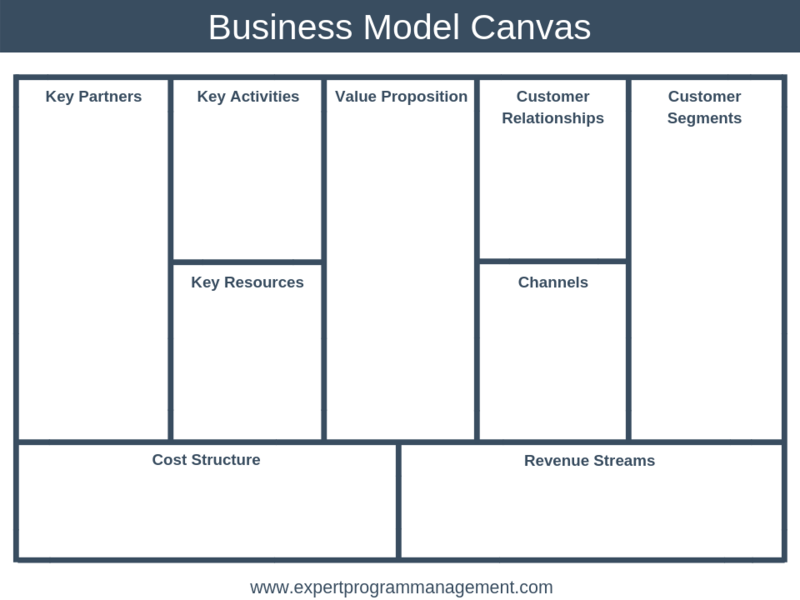 The Business Model Canvas provides a way to show the key elements of any business model on a single sheet of paper. The canvas is based on nine building blocks and the interrelationships between them. You can use the canvas regardless of whether you are trying to understand a startup with two employees or a Fortune 500 company with over 50,000 employees.